A Christmas scene in the village square, a collaborative family effort. Modified town hall from the Town Plan set, my Norman church MOC modified, Mum and brother's choir and Weaver's Cottage from a mediaeval village, the Winter Toy Shop set. 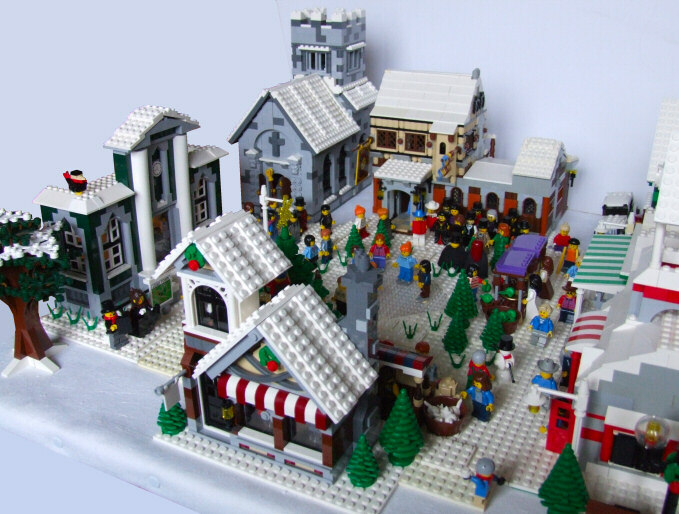 Just visible on right, some other shops by my brother and Mum and only a hint of it in the background - my Winter Station MOC.